This exquisite confection is a Boudoir Cap or Breakfast Cap meant for a Bride, it would originally have been part of her trousseau. As a bride's heirloom, this early morning cap was stored away for over a century. 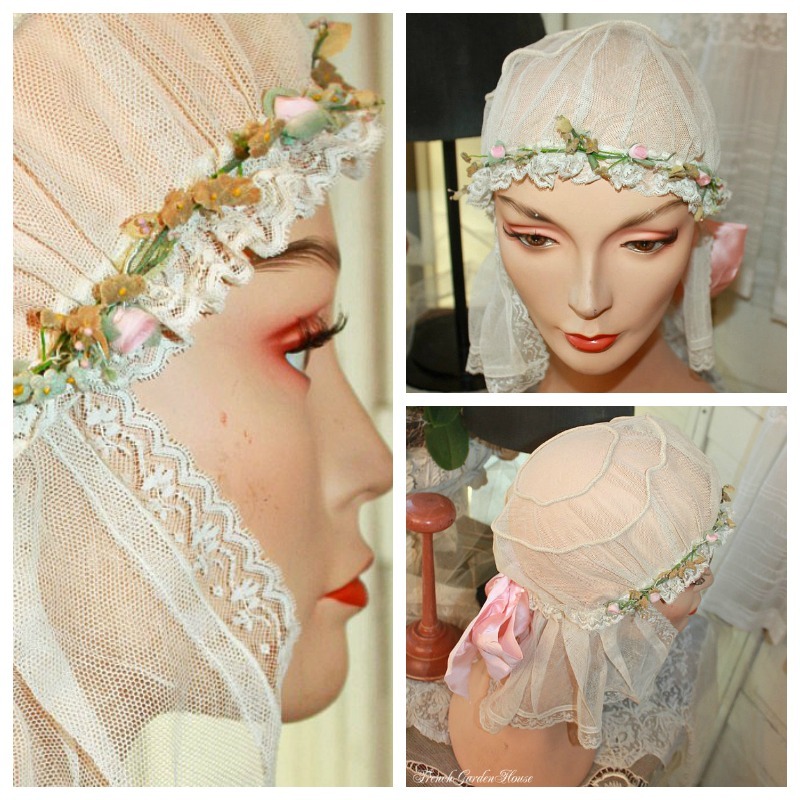 Made of finest White French Netting, edged with Lace, this gorgeously feminine cap is decorated not with ribbonwork, but with a garland of delicate millinery flowers in pale Pink, light Blue and Cafe au Lait Ecru. 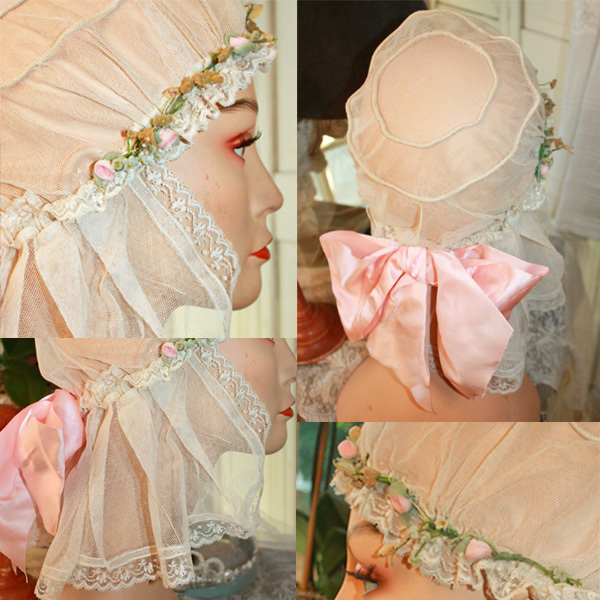 It dates to the early 1900's, most likely around 1905, when boudoir caps like this were worn to hide "morning hair" at breakfast, or to protect a lady's hair do when dressing for the day. The Edwardian era caps were a little bit more sturdy than their flapper era sisters. This piece has a large & quite stunning pale Pink silk bow on the back which shimmers in the light, it is in amazing antique condition, most likely unworn condition. It was acquired from a collector who kept it in absolute pristine condition.